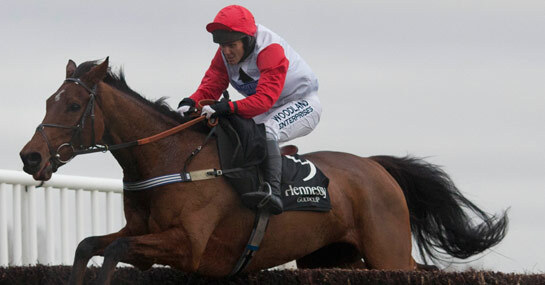 Horses towards the head of the market have performed with credit in the Welsh Grand National in the past decade and it may be Carruthers who can land a second big event of 2011 this year. There would arguably be no more popular winner at Chepstow than Carruthers, given his never say die mentality, his keenness to keep pushing from the front of the field and his connection with Lord Oaksey. Horses to have won the Hennessy Gold Cup are typically best avoided in the Welsh National because the rest time between the two races is not sufficient enough to get a horse to peak again so soon. However, Carruthers has run creditably in the Cheltenham Gold Cup before against far better horses than those at Chepstow and may upset this belief. Connections have been crying out for rain and with Chepstow described as “heavy”, the muddy conditions will be right up his street. Carruthers is 9/1 to win the Welsh National and seven of the last ten winners have been at single-figure odds. The other two horses that fit this criteria are last year’s winner Synchronised, but no horse has triumphed twice since the 1980s, while Giles Cross is running off a higher weight than when failing to emerge victorious 12 months ago. There is a large amount of each-way value available for the race and around a dozen of the horses have serious capabilities of finishing in the first four. Loving the mud is the one key trait that a horse will need in the soft conditions and alongside Carruthers, this may most suit Le Beau Bai and Viking Blond. Le Beau Bai finished third as favourite in the Welsh National in 2009 and sneaks in at Chepstow off a tiny weight, which could be pivotal. Meanwhile, Viking Blond is very one paced, but stays all day and will certainly be running all the way to the line. Both horses are 10/1 in the Welsh National odds.